The event is part of Mayo Clinic's Heritage Days celebration, which was created to "celebrate the history and strengthen the culture of Mayo Clinic." Exhibitors from more than a dozen Mayo Clinic departments will be part of the fun, bringing giveaways, activities and expert advice to the festivities at Soldiers Memorial Field. Members of the Navy and National Guard will be there, too, hosting kids' activities including mini-races, a climbing wall and inflatable obstacle course. And of course, there'll be swag: ribbons for the kids' events and a medal for everyone who crosses the 5K finish line. But the Heritage Classic is about more than a good time. It's also about a good cause. Proceeds from the event support the HOPE Fund, which provides financial assistance to Mayo patients who need help covering health care-related expenses, such as food, lodging or transportation. The fund and its name (which stands for "Helping Others Pay Expenses") were created by Mayo Clinic staff as part of Mayo's 150th anniversary celebration in 2014. "Employees often have firsthand knowledge of the struggles patients are facing," says Carole Stiles, a social worker at Mayo Clinic who helps administer the program. She thinks it's "wonderful" that employees "have a way to contribute and help beyond the care that is part of their professional responsibilities." The "support and assistance" provided by the HOPE Fund makes "a huge difference in the quality of people's lives and contributes to their recovery," says Stiles. Because, as many patients discover, a health crisis is often accompanied by a financial one. That's been true for Pam Morris, who has had to stop working while she receives treatment for breast cancer. "Initially I tried to work," says Morris, a nursing assistant at a Veterans Administration home in Chippewa Falls, Wisconsin. But after "hard-core" chemo treatments left her "overly tired, weak and nauseous," she began to worry about hurting a patient. "It took a while for realty to hit," Morris says. But she had to accept the effects her diagnosis and treatment would have on her life — including the financial ones. "It's just myself at home, no spouse to help with bills," says Morris. She has used support from the HOPE Fund to buy groceries and gas to get to her appointments at Mayo Clinic Health System — Luther Midelfort in Eau Claire. "Anyone going through something like this needs all the help they can get," she says. And she adds that it's "amazing" that Mayo Clinic employees donate to the fund. "It's nice to know there are people out there who care." Race on over and show us you care by adding your comments below. You'll find handy social media tools atop this page to share this story with others. Is there anyway possible I could do this 5k walk/run from my home town of Thompson,ND. Please? Please? I am so grateful for Mayo saving my husband’s life. 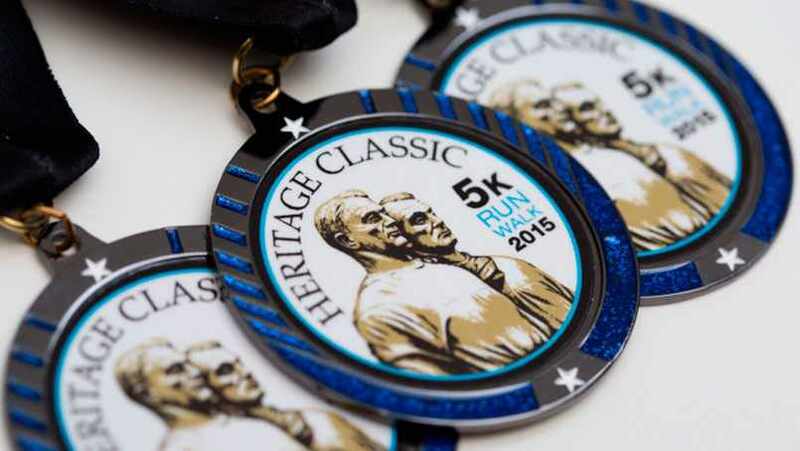 I do 5ks and oh how I would like a medal like this one. I am so grateful for Mayo and would be so honored to do this 5k and receive this medal.